Venezuela’s democratic opposition was awarded the European Union’s human rights award on Thursday and the European Parliament called for a peaceful transition to democracy in the troubled country. The prize, named after Soviet physicist and dissident Andrei Sakharov, was awarded to the country’s national assembly and all political prisoners, parliament said. 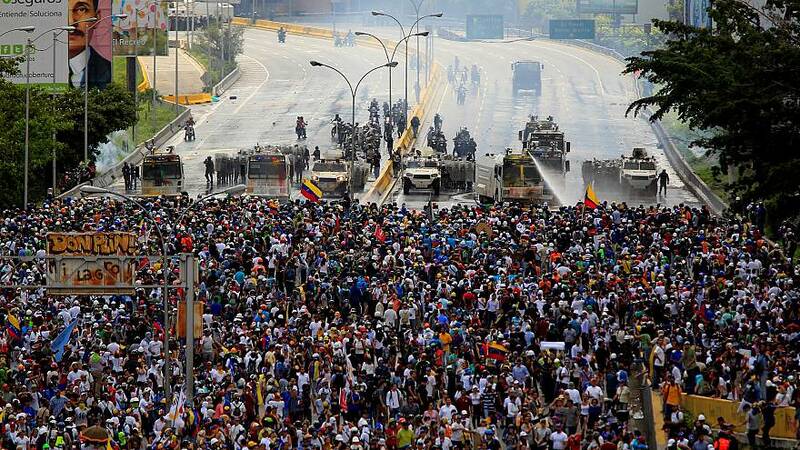 Oil-rich Venezuela is suffering from a harsh economic crisis and President Nicolas Maduro’s government has clamped down on the opposition, jailing or otherwise barring from office many dissenting leaders and activists. “Today we are supporting a nation’s freedom struggle,” European Parliament President Antonio Tajani said. “We also want to launch an appeal for a peaceful transition towards democracy and an opening of a humanitarian corridor to ease the suffering,” he added.